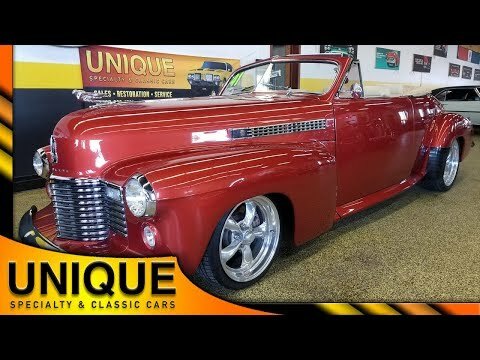 1941 Cadillac Series 62 Convertible Street Rod, MUST SEE! TRADES? 1941 Cadillac Series 62 Convertible is all steel. Under the hood is a 4.6L V8 paired with a 700R4 automatic transmission (with overdrive) equipped with power steering and power brakes. Paint is excellent as is the chrome and bright work. Very straight body panels and just an overall solid build. 4 corner disc brakes. Quad-tipped rear exhaust. Custom leather interior featuring power seats. Updated drivetrain. Power windows, tilt steering, and A/C as well. Power top. High mount stop light on the trunk. High-quality running and driving Cadillac.